One thing I definitely don't need any more of is mascara! I appear to have accumulated quite a stash waiting to be used and as I only use one or two mascara's at a time and don't wear mascara (or makeup) every day (because I work freelance and so am often home) it will take an age to get through them all. However, while having a wander round Boots picking up some bits I wanted I was sucked in by a pretty looking display. 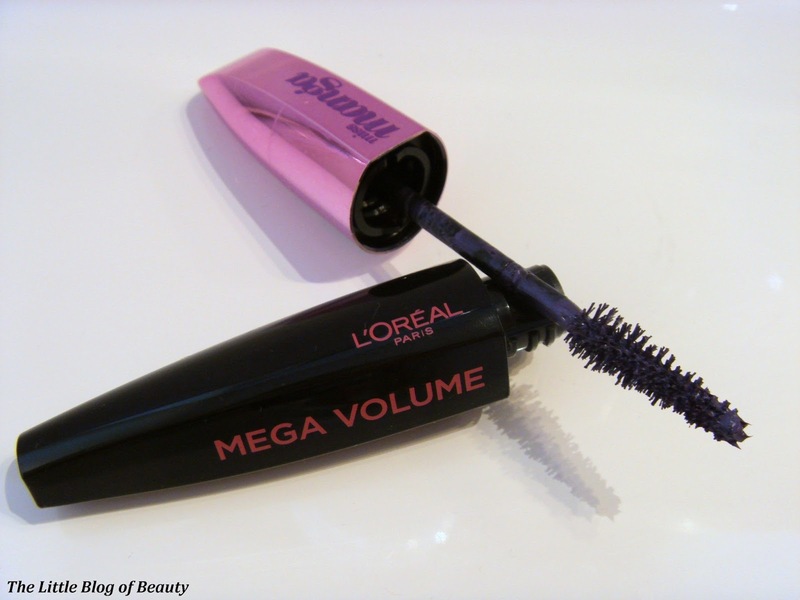 If the mascara had only been available in black them I would have had a look at the display and then moved on, but then I spotted that it was also available in turquoise and purple, so I decided I needed (yes, needed!) a purple one. I used to Benefit's Bad Gal mascara in the plum shade and loved it, so I thought this might be a reasonably close (and cheaper) replacement. It was also on an introductory offer and I think it was £4.99 rather than £8.99. So I was sold! 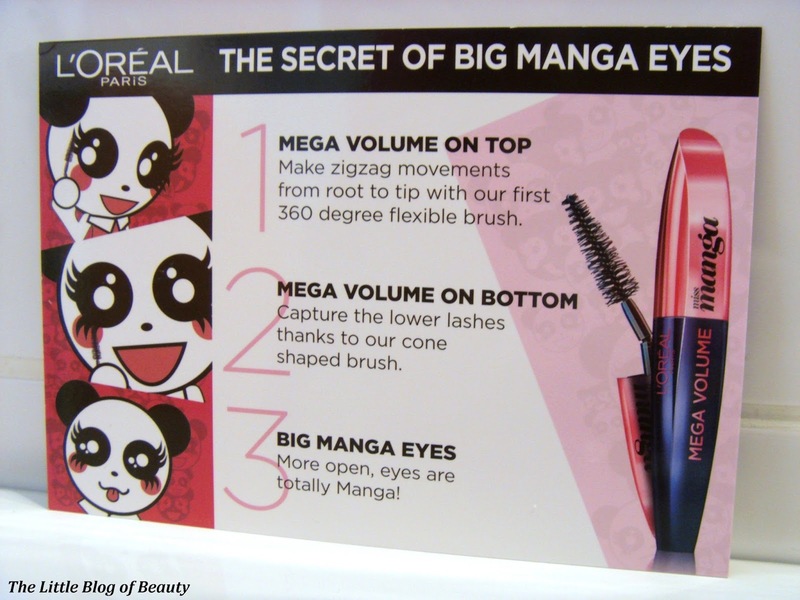 I'm not particularly a fan of Manga in any way but the Manga girls do have pretty impressive lashes and I'll try anything that will hopefully give me amazing lashes. 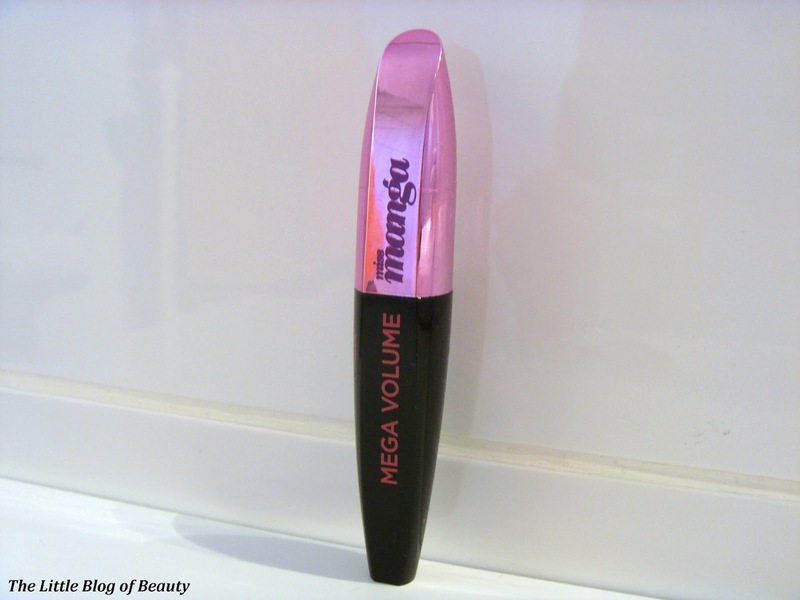 The mascara has quite chunky packaging (I personally prefer something a little thinner) and features a cone shaped wand, designed to help capture the lower lashes, and a bendy arm on the wand. I'm not sure what the bendy wand is supposed to help you achieve but I personally find that it doesn't really move at all when I'm applying the mascara. I haven't tried moving it around myself because I didn't really want to end up covered in purple mascara, so I'm not sure how stiff this is. I've used this a few times and am not sure if I noticed this before but the last time I thought that the formula felt quite dry, it seems to be quite an effort to get it to transfer over from the wand to my lashes. I'm not really into layering up my mascara so I want one that goes on easily and can give the full effect in just one coat. So what does this look like on? As you can see it's not obviously purple, in fact it doesn't look much different from a black mascara except it's not quite as dark. 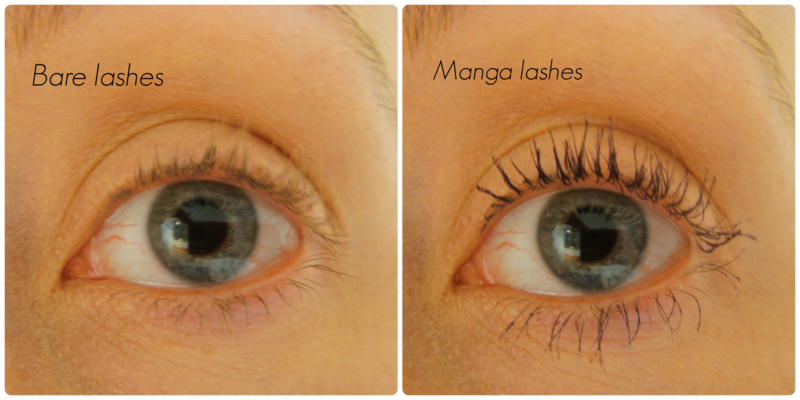 This might be one to go for if black lashes look a little bit too dark on you. It lasts well and doesn't smudge or flake away through the day but is still very easy to remove with my Bioderma micellar water. 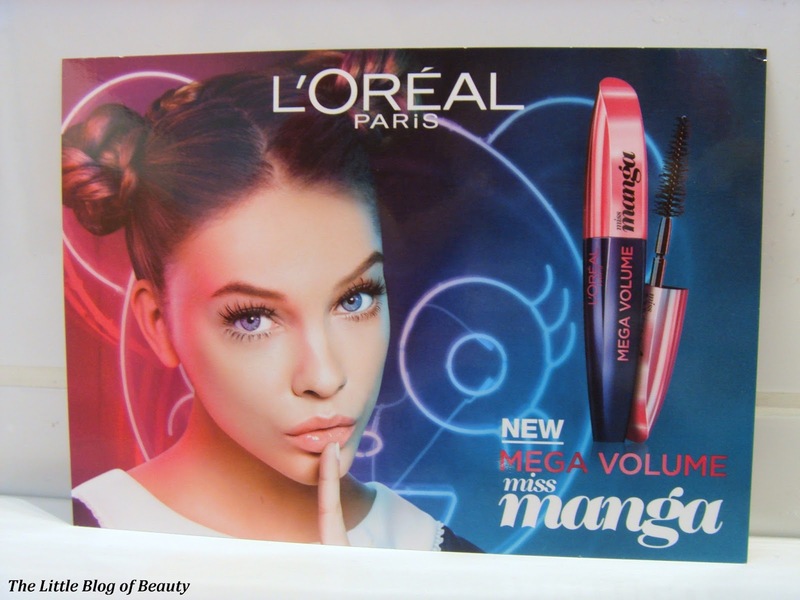 To be completely honest I'm kind of neutral about this, there's nothing particularly wrong with it, it's not a bad mascara but I don't find it particularly gives me a Manga look either and there are other mascara's that I would prefer to use over this. 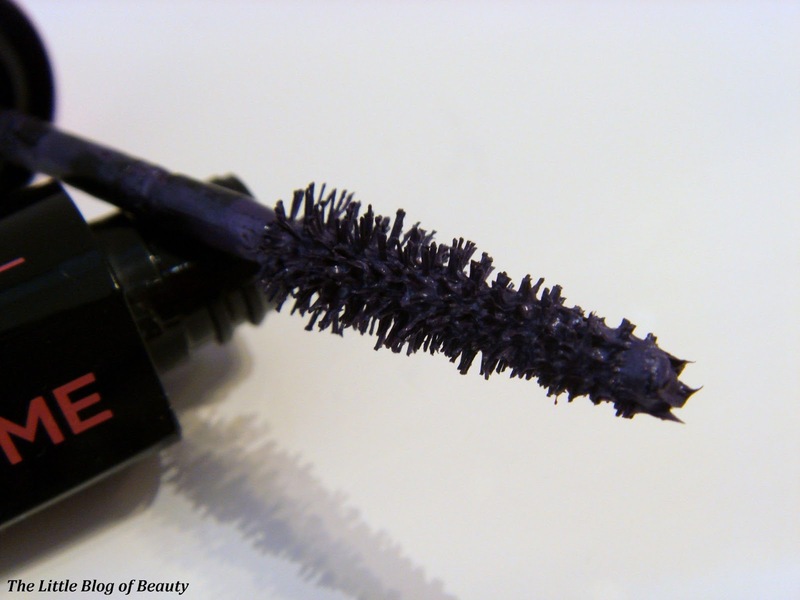 It's certainly not a replacement for my plum Bad Gal mascara as the colour is completely different and I think Bad Gal is a far better mascara. Just as a warning if you're thinking of trying the turquoise version, although I've not tried it myself I've seen the moving swatch on the L'Oreal website and it's not a subtle look, it's a full on obvious light blue type colour.